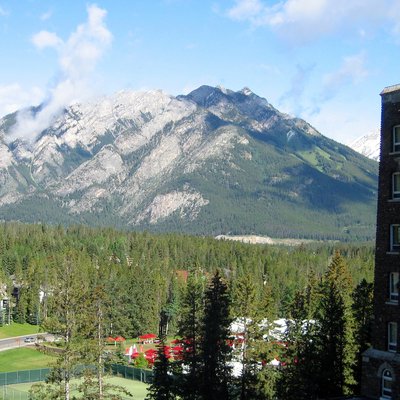 A view of the mountains surrounding The Banff Springs Hotel in Banff National Park. Add tags for "A view of the mountains surrounding The Banff Springs Hotel in Banff National Park.". Be the first. <http://www.worldcat.org/oclc/841445410> # A view of the mountains surrounding The Banff Springs Hotel in Banff National Park. schema:about <http://www.worldcat.org/oclc/841445410> ; # A view of the mountains surrounding The Banff Springs Hotel in Banff National Park.